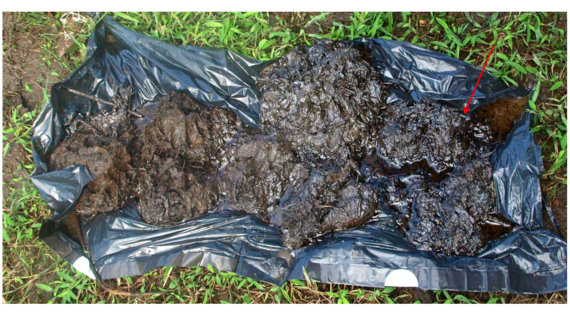 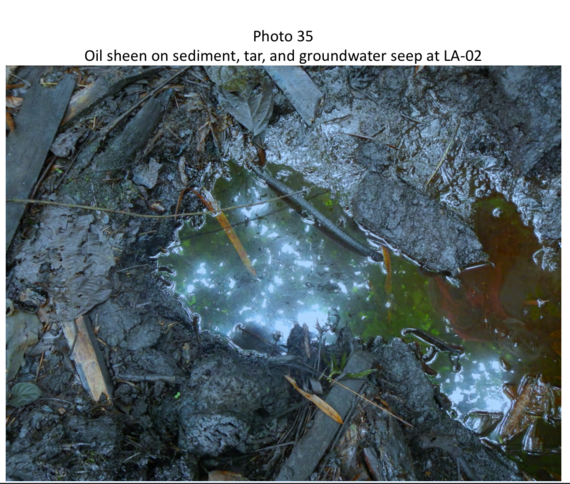 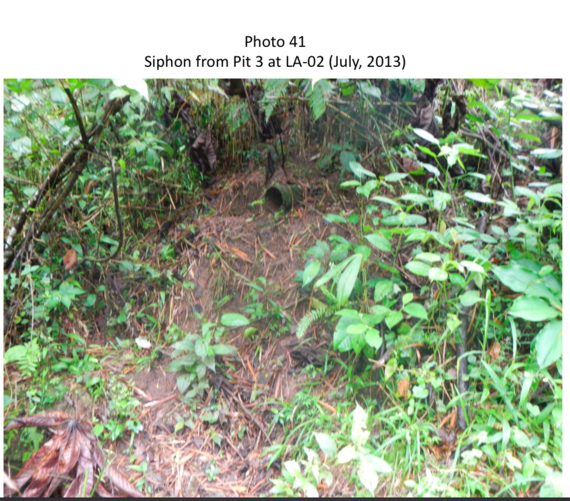 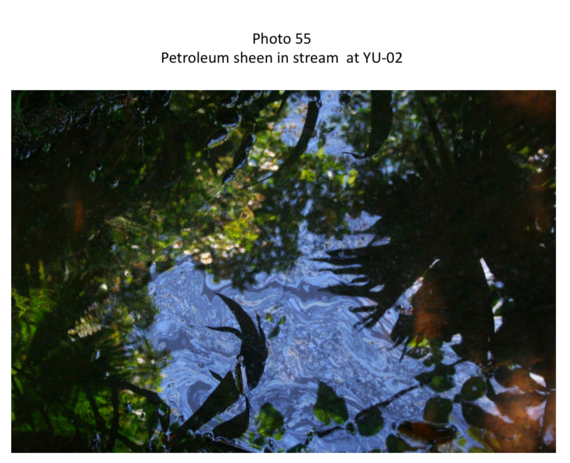 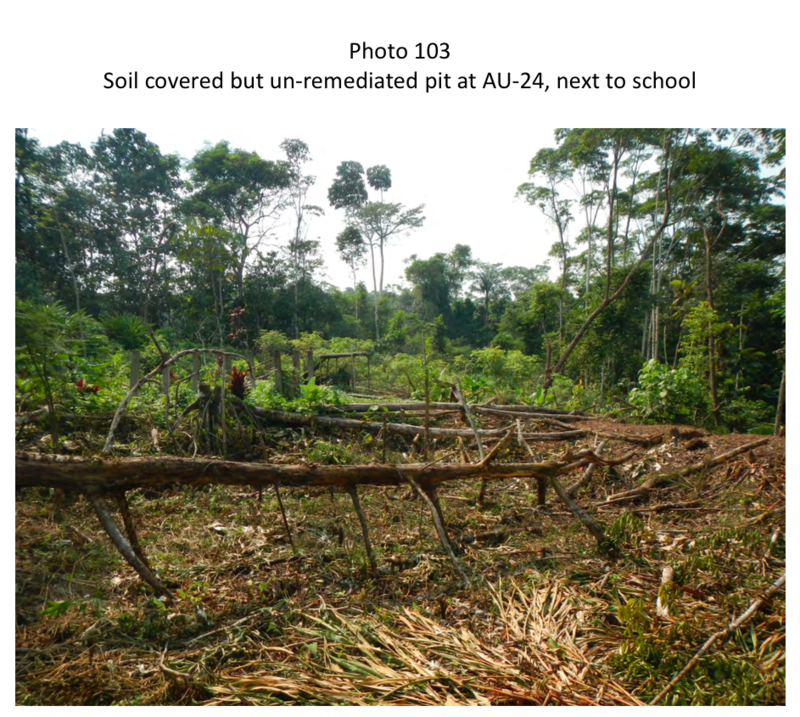 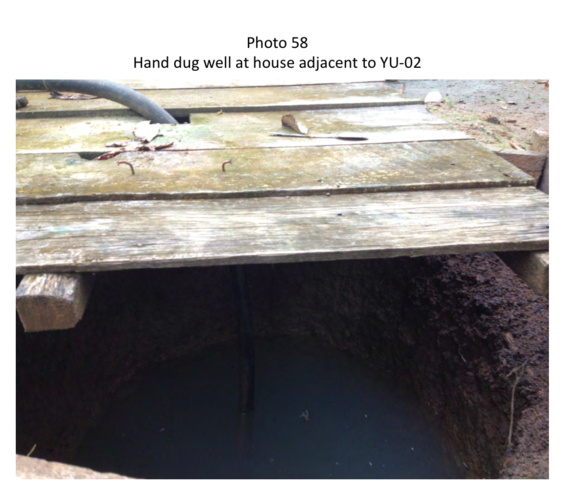 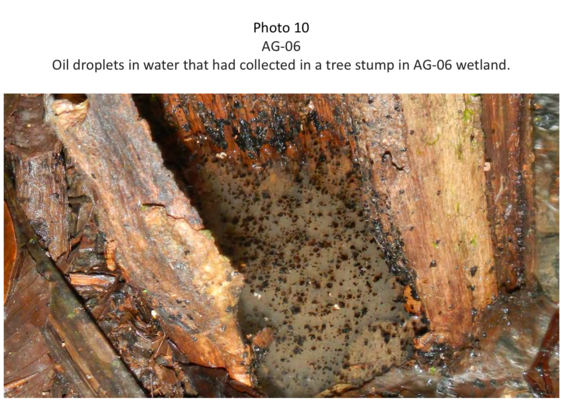 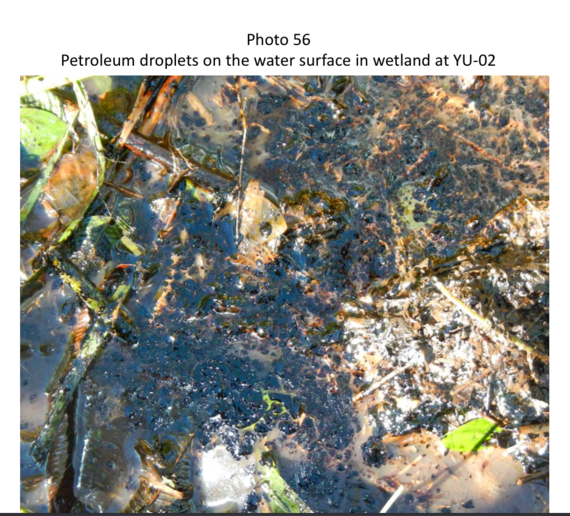 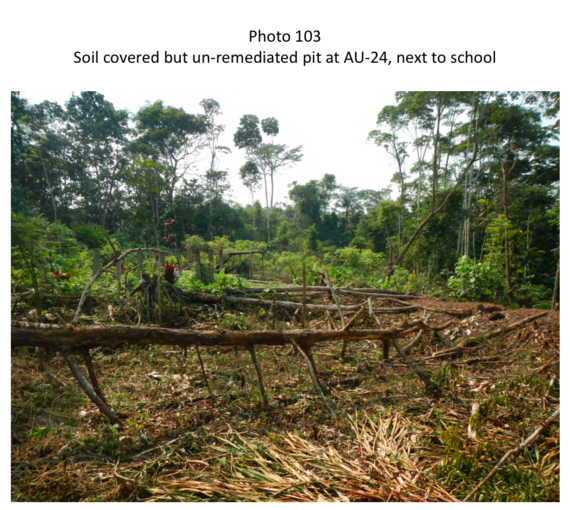 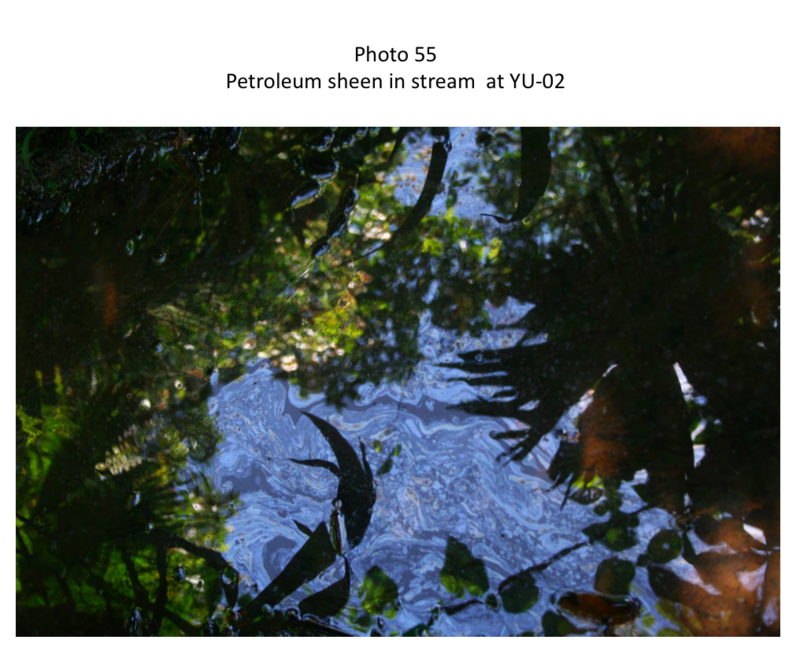 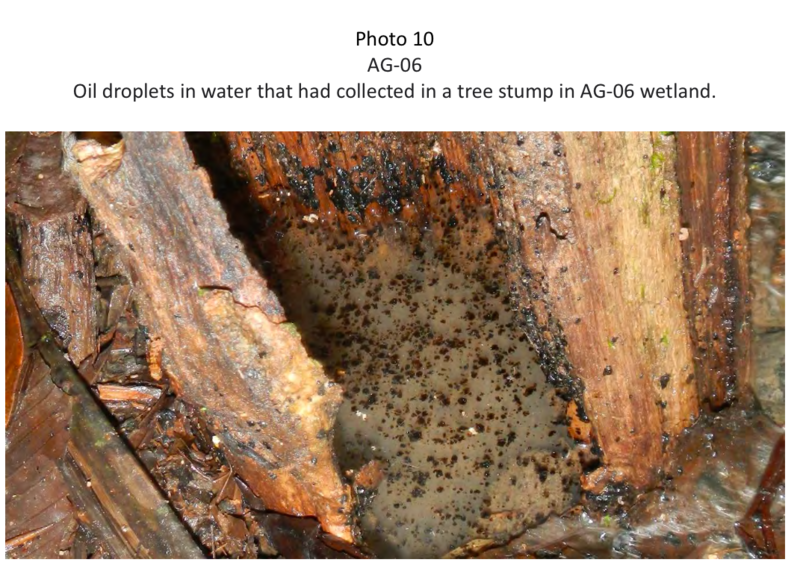 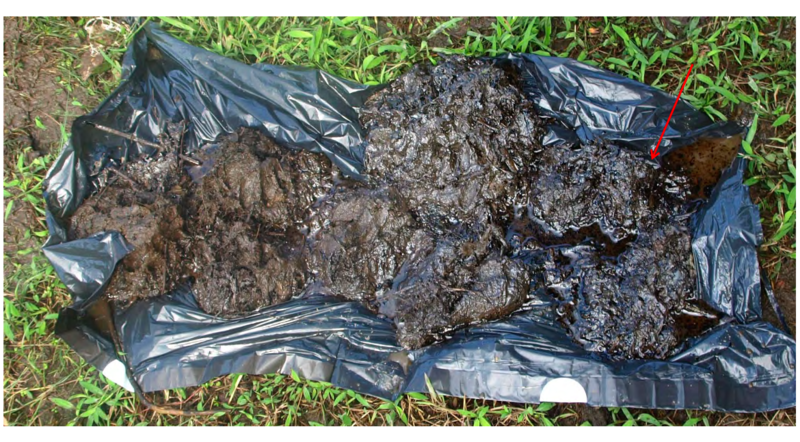 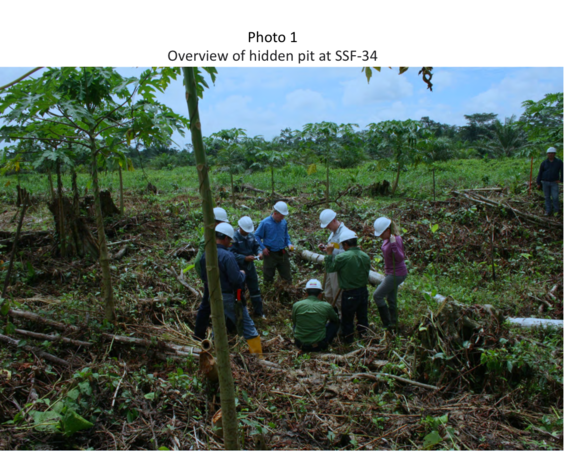 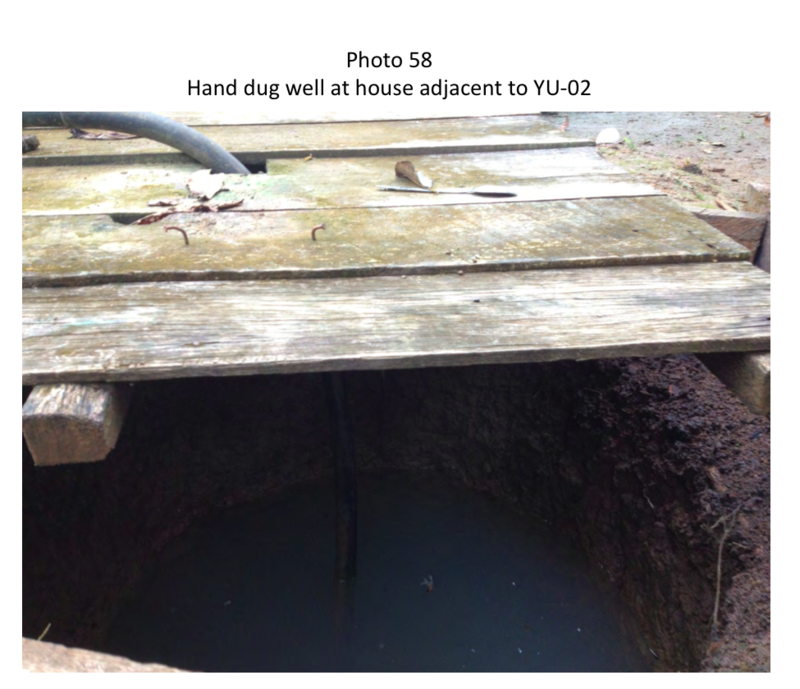 Dirt Soaked In Oil: Chevron Testified Texaco Cleaned This Well Site In Ecuador Rainforest, Yuca 2. 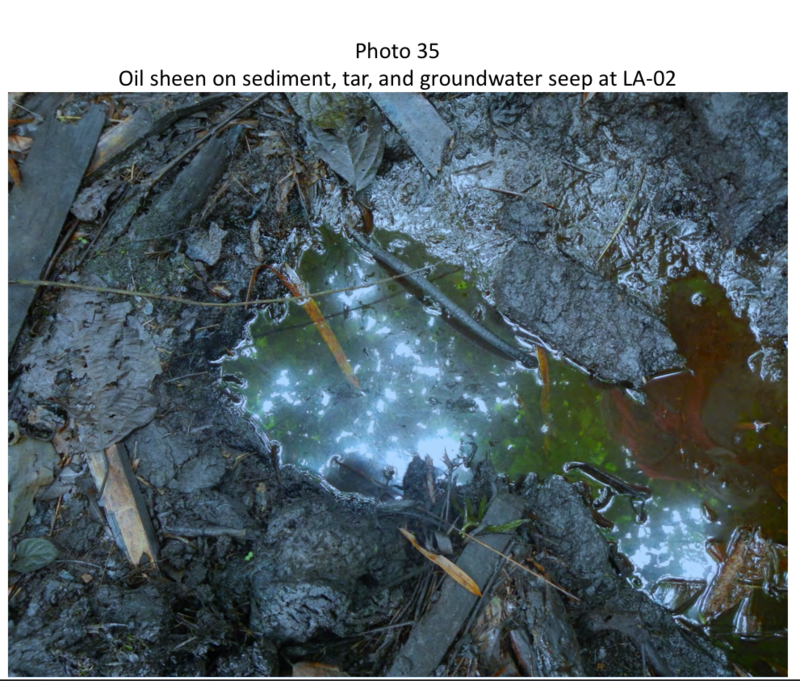 - New York Times columnist, October 2005 "A (Chevron) spokesman told me yesterday that the billions of gallons of waste that was dumped 'wasn't necessarily toxic .... We've done inspections. 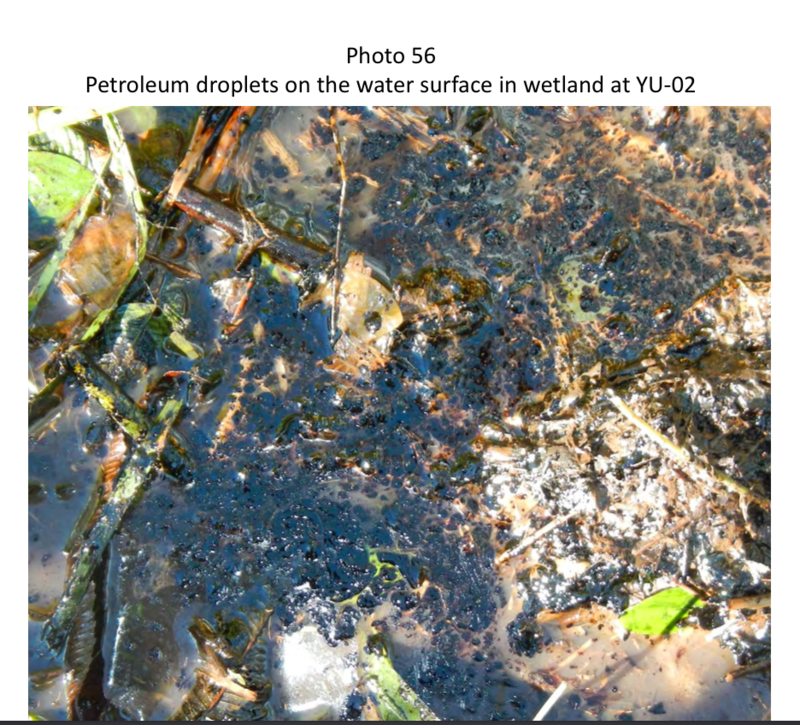 We've done a deep scientific analysis, and that analysis has shown no harmful impacts from the operations. 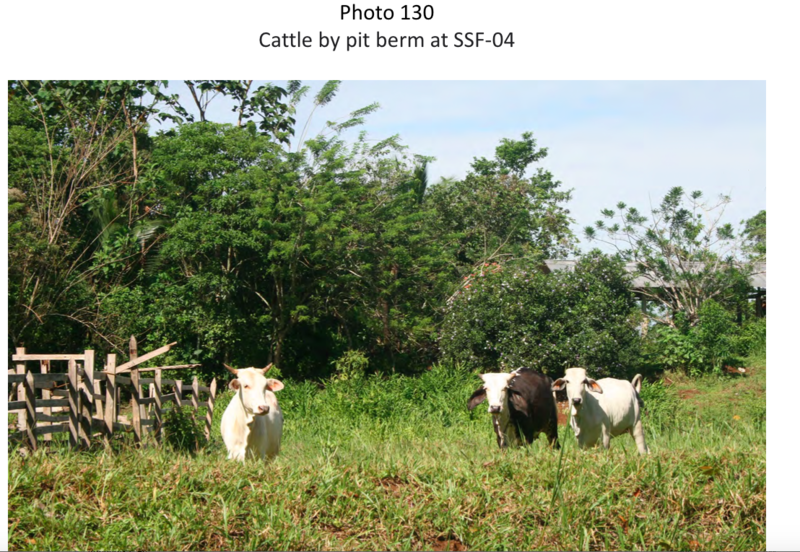 There just aren't any.'" 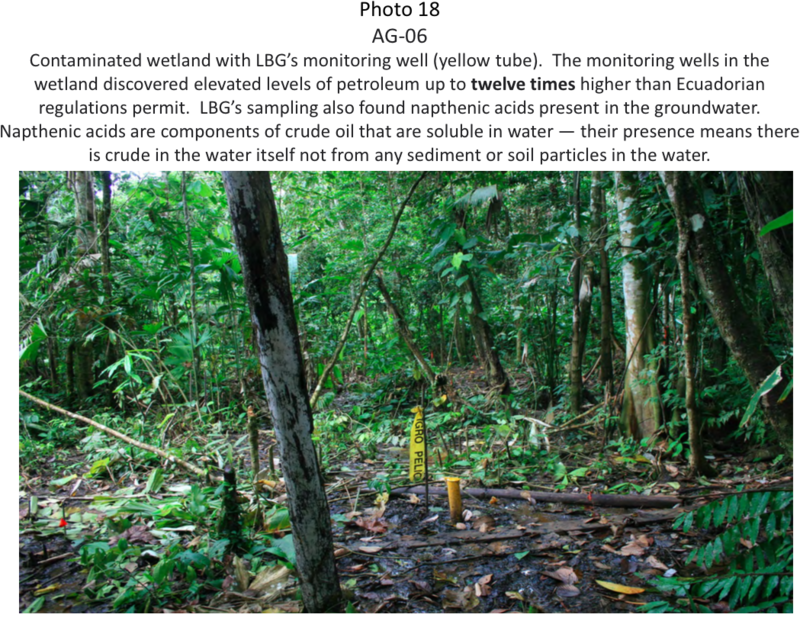 - Louis Berger Group Scientific Report, November 2014: A New Jersey-based environmental firm, the Louis Berger Group, has found illegal levels and harmful contamination at well sites in Ecuador where only Texaco explored for oil - no other oil company. 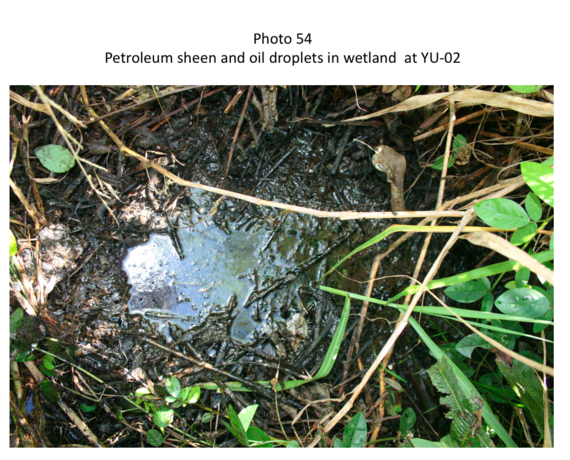 It found lethal toxins that have migrated away from huge oil pits in streams people use for cooking, bathing and washing clothes. 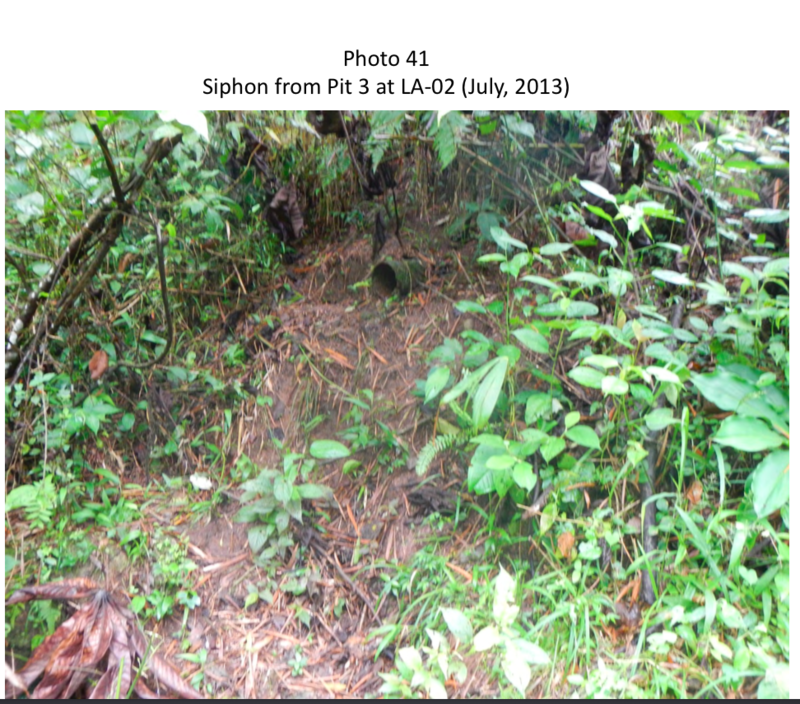 It found hidden, undisclosed pits. 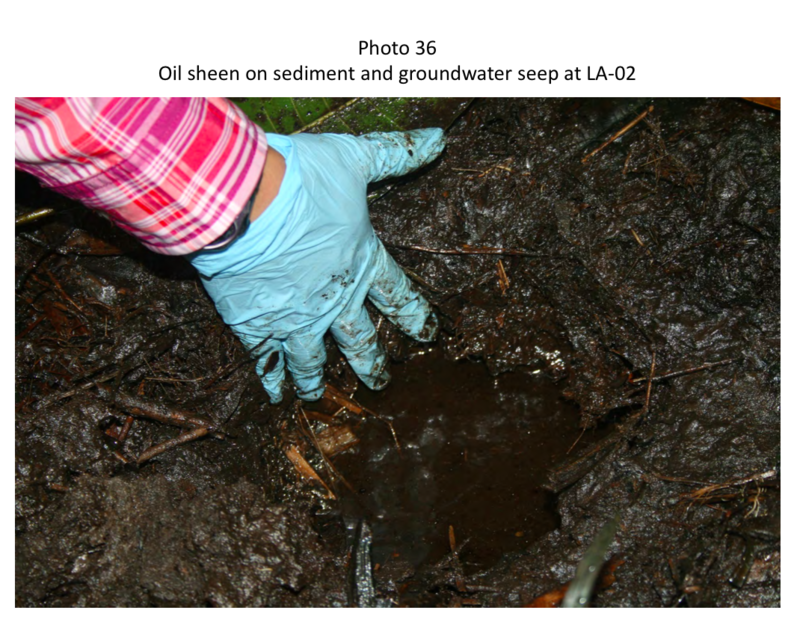 And, it found that pits Texaco & Chevron swore under oath had been cleaned contain large amounts of oil oozing from them near villagers' homes. 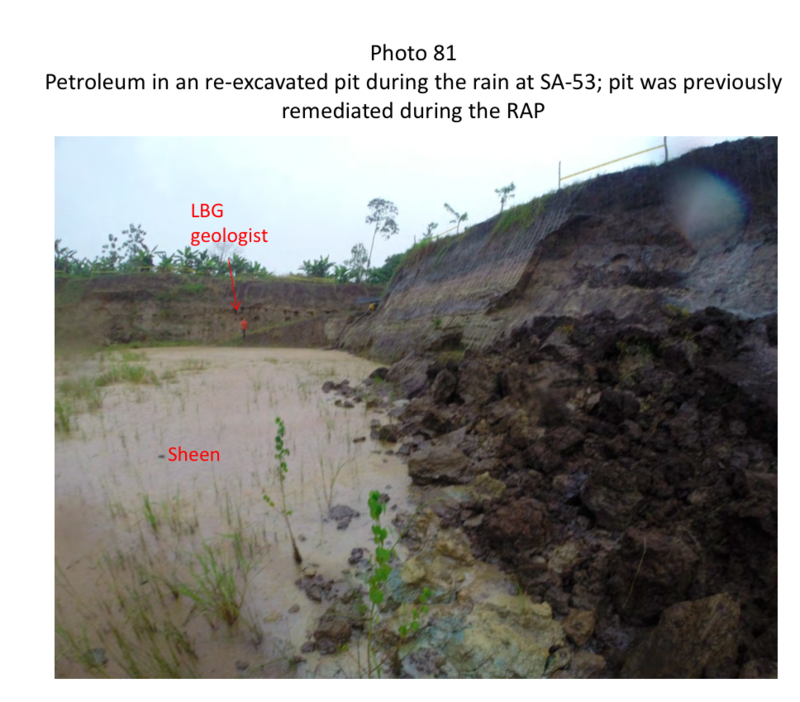 See LBG report. 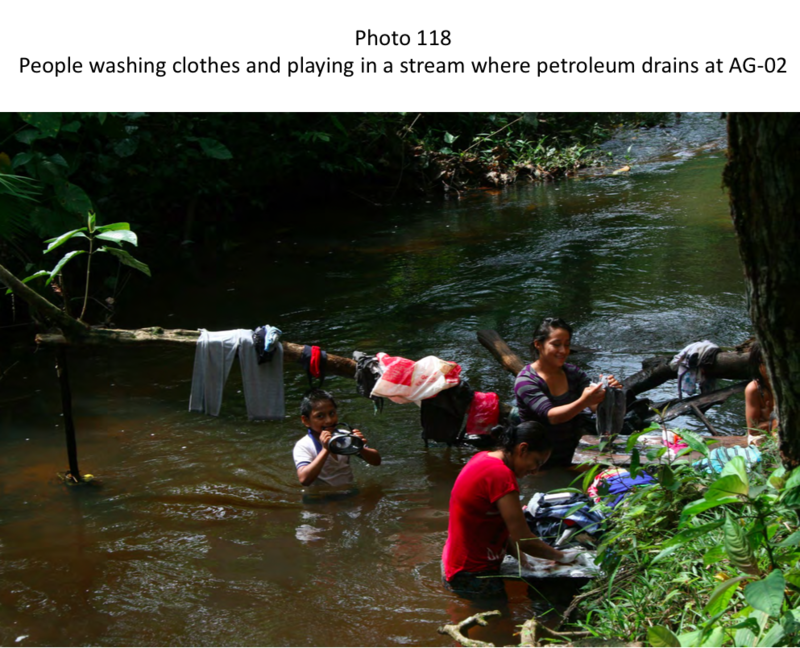 Not only does Chevon refuse to pay, its top executives at the urging of their lawyer Randy Mastro of Gibson Dunn have vilified and sued practically everyone associated with the Ecuadorian indigenous groups and villagers. 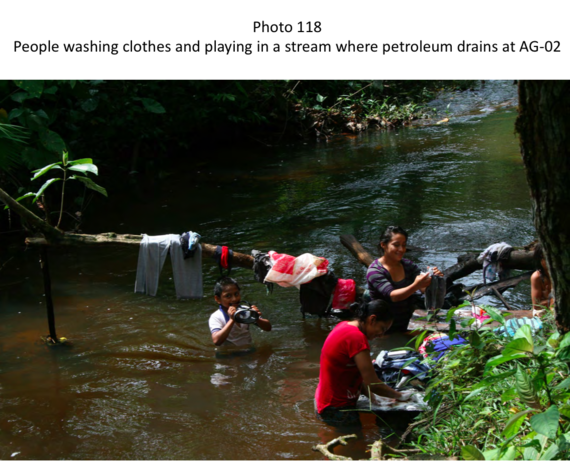 Chevron General Counsel Hewe Pate delights in announcing how our contamination experts and litigation funders (who've been threatened by Chevron with bankruptcy and never-ending litigation) have disavowed the Ecuadorians and their attorneys. 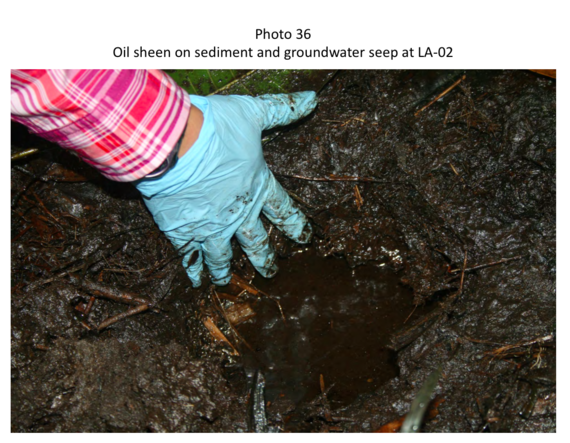 But what about this new group of environmental engineers from Morristown, New Jersey, who have conducted a very recent, scientific analysis of contamination at 60 mostly Texaco-only well sites that Chevron says it's not responsible for and has not harmed anyone ever. 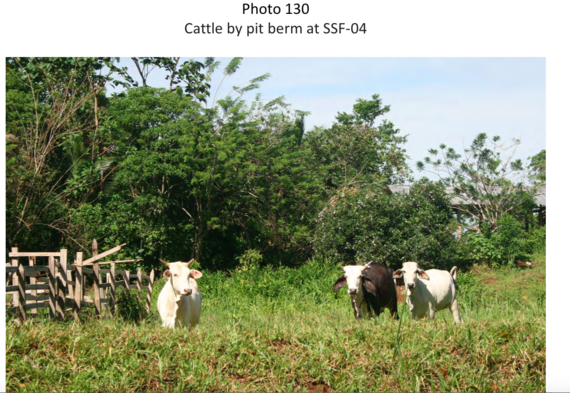 The Louis Berger Group is an international architectural and engineering firm that's been around for 60 years and is one of the top 20 such firms in the world. 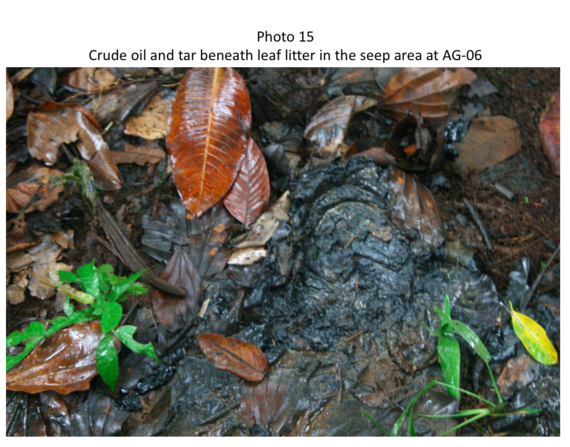 Will Chevron intimidate, harass and threaten LBG, as it has done others? 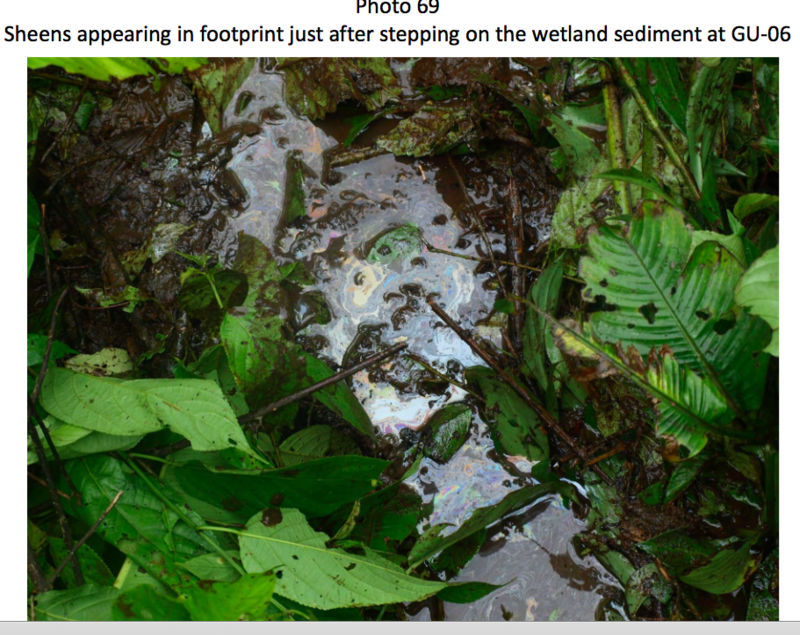 Will Chevron accuse the environmental firm of being part of a conspiracy to extort money from it? 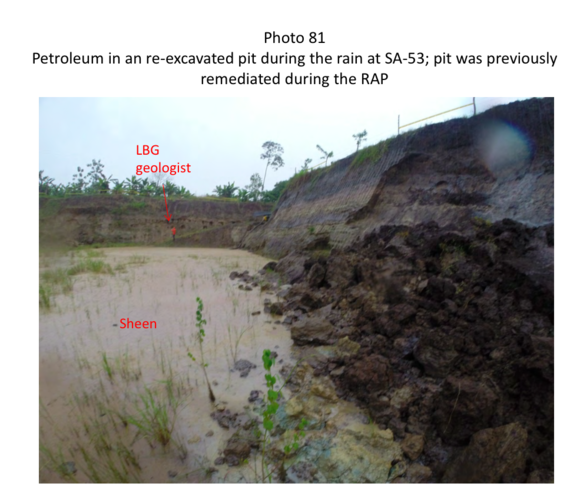 Will Chevron file a lawsuit against LBG, too? 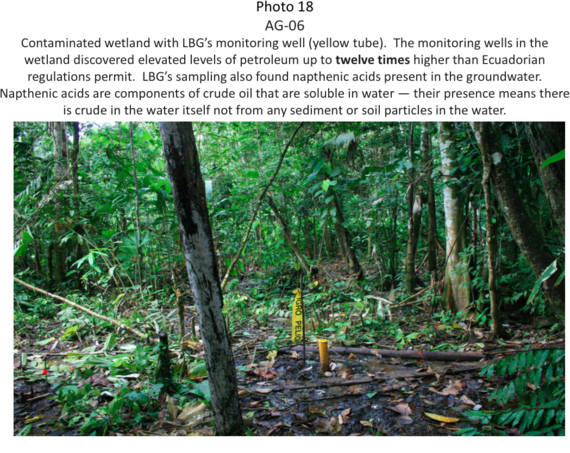 Will Chevron contact other LBG clients and try to convince them to fire LBG, as it has done with other companies associated with the Ecuadorians? 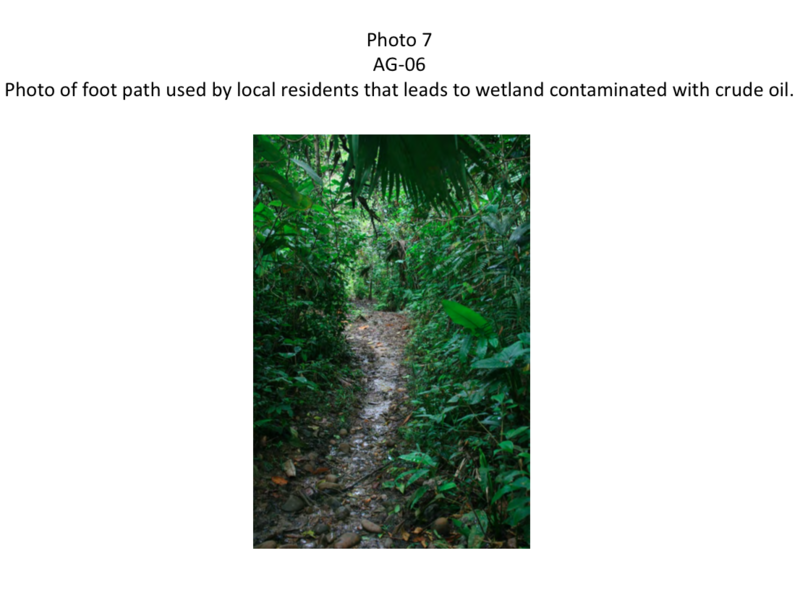 This information has been made available by the Government of Ecuador on this web site. 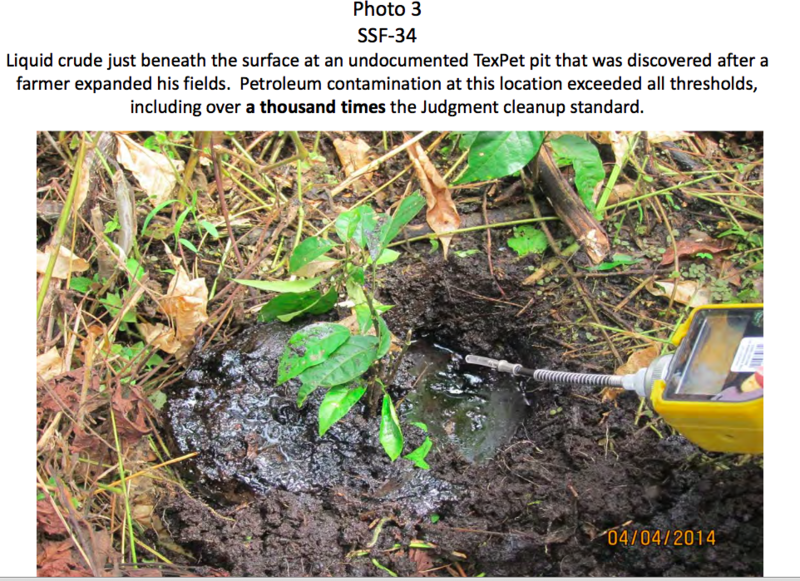 Chevron Testified That Texaco Cleaned This Site. 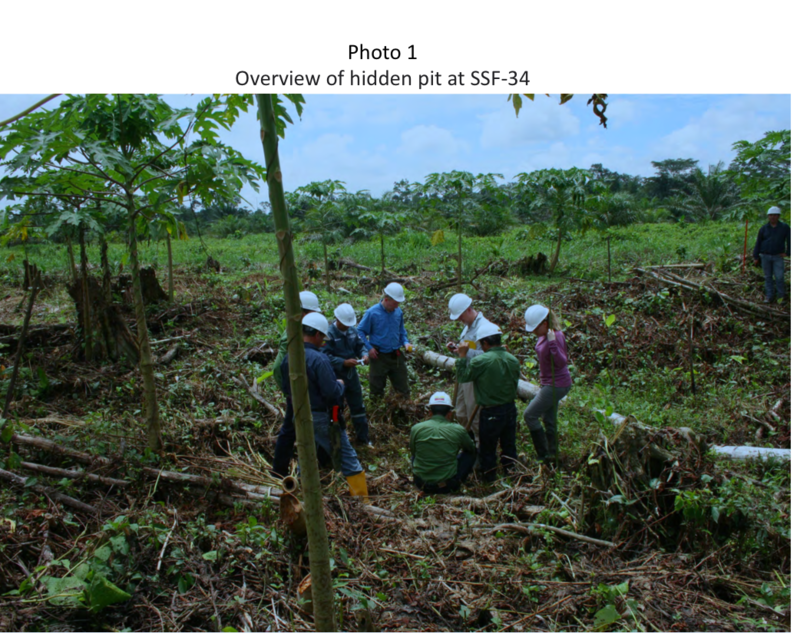 These findings reinforce our opinion that the (Ecuador) Judgment's assessment of damages was reasonable. 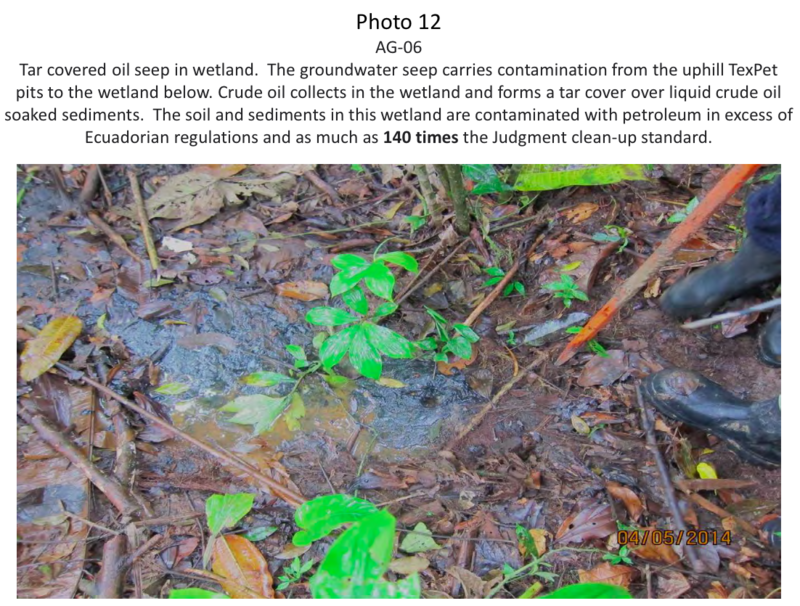 During the (the Ecuador trial) Chevron's (contamination testing was) not representative and thus did not adequately characterize the extent of contamination; notwithstanding this limitation ... Chevron's (and the Ecuadorians') sampling and testing evidenced significant contamination by toxic compounds. 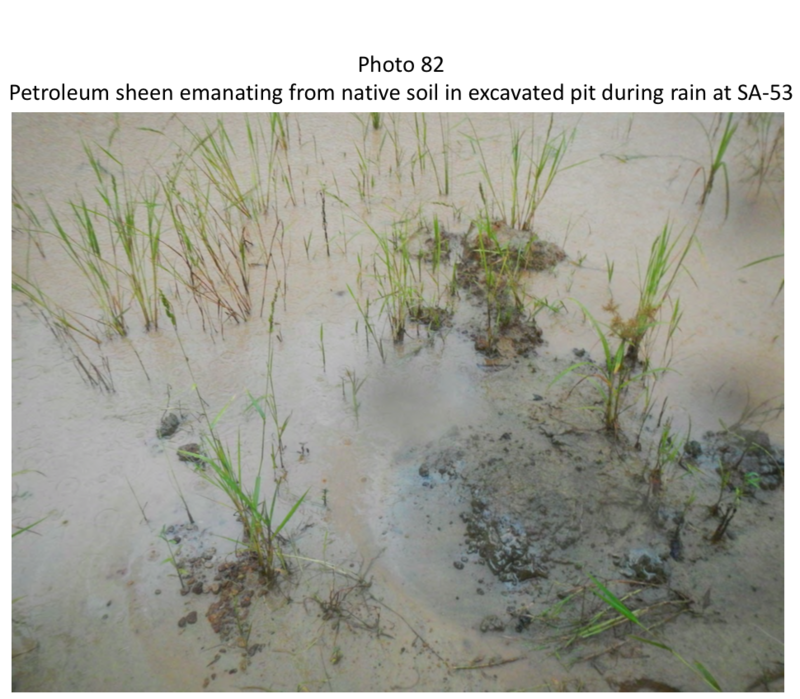 ...field data show(s) that, where groundwater was found to exist as a resource, it is contaminated; (Chevron's) blanket assumption that impermeable clay occurs everywhere, rendering pit lining unnecessary, is false. 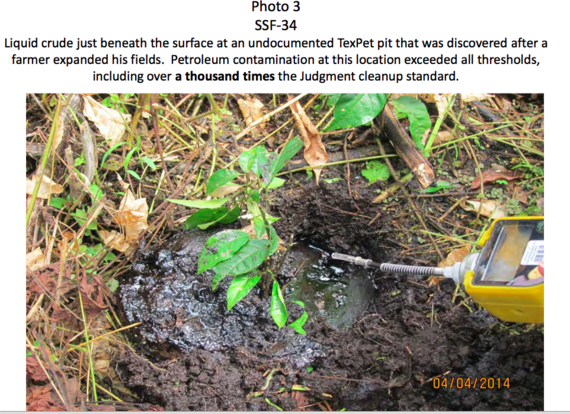 ...contamination caused by TexPet's operations is still present and mobile in the environment.... 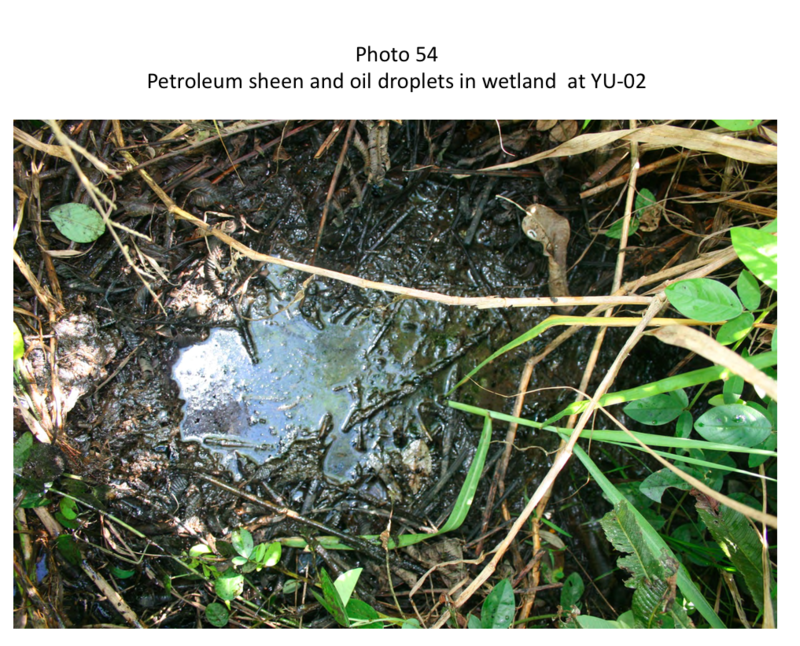 Along the streams adjacent to the sites, ... crude oil bubbl(es) upward when sediment was disturbed. 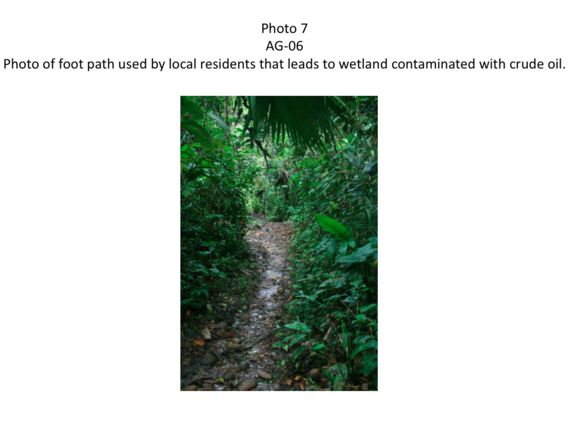 We also observed areas where people use these same impacted water resources. 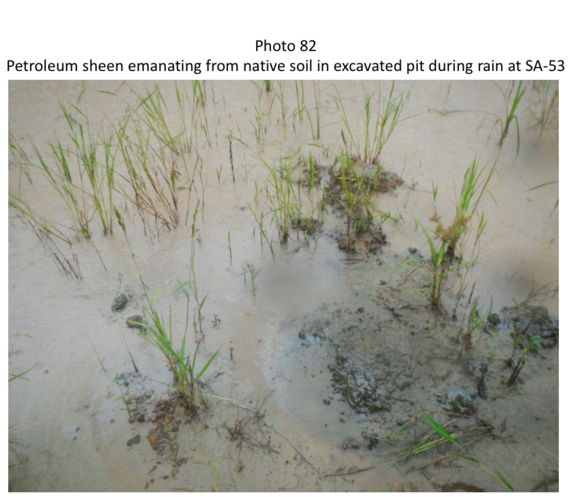 .... data also indicate that the vast bulk of the oil contamination lies in the soils beyond the pits, not in the pits themselves. 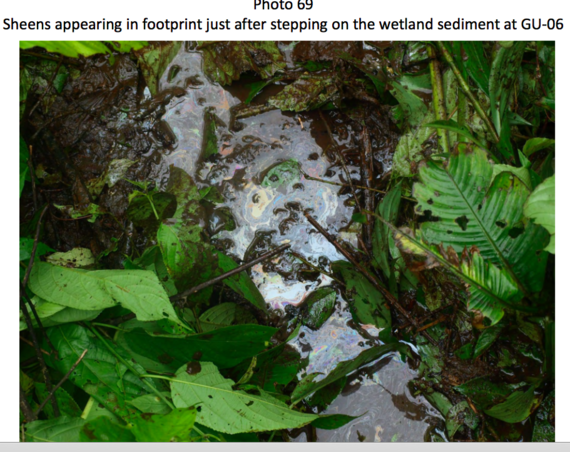 Additional photos of the devastation that continues to threaten the lives and health of the Ecuadorian people appear here. 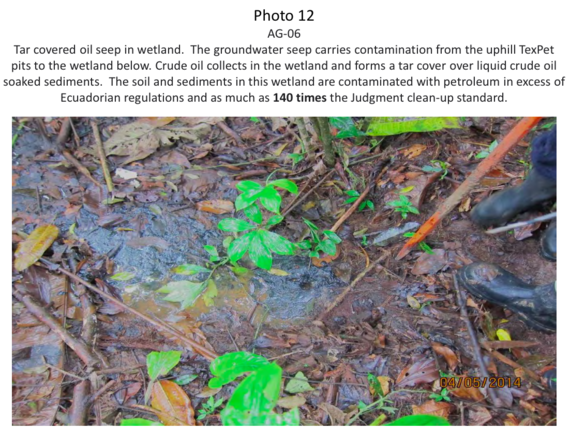 On April 20th, the Second Circuit Court of Appeals will hear oral arguments in the Ecuadorians' appeal of Chevron's fraud charges. 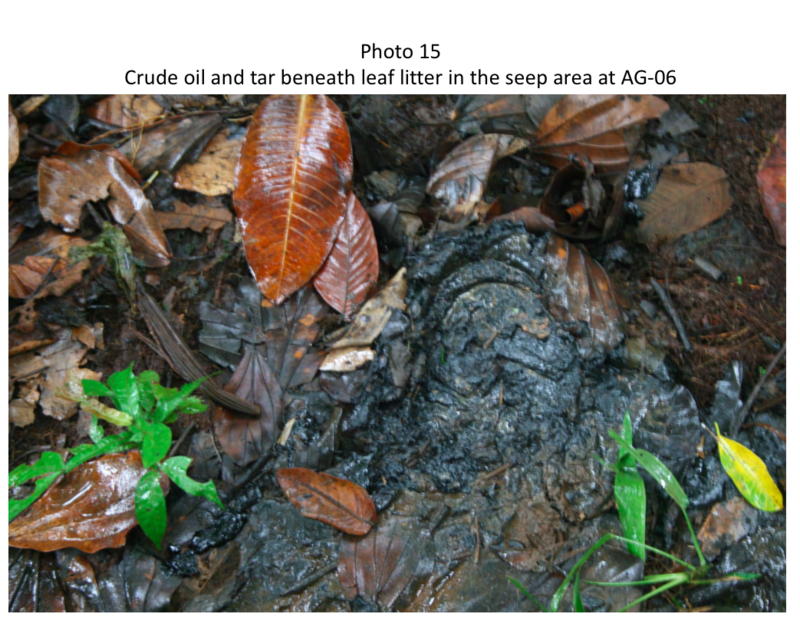 In 2011, Second Circuit Judges Rosemary S. Pooler, Reena Raggi, and Gerard E. Lynch ruled against Chevron when the company tried to block enforcement of the Ecuador judgment anywhere in the world.